Alan Jones, who had secured the title a week earlier in Canada, polished off the season in fitting style with victory at Watkins Glen, his fifth of the season - sixth if the discounted Spanish Grand Prix was included. Williams, who romped to the constructors' championship, completed a clean sweep when Carlos Reutemann's second place confirmed him as runner-up to Jones. Alain Prost had a lucky escape on the Saturday when the suspension on his McLaren failed at speed and he crashed heavily, hitting his head on a fence post. Already at odds with his team, he said: "I don't want to know about McLaren, I'll never drive that car again." Although he was back at the track on Sunday he refused to race. By the start of 1981 he was with Renault. Jones started from the third row and early on got bogged down in traffic, and by his own admission was fortunate to escape being involved in the second-lap collision between Andrea de Cesaris and Derek Daly. 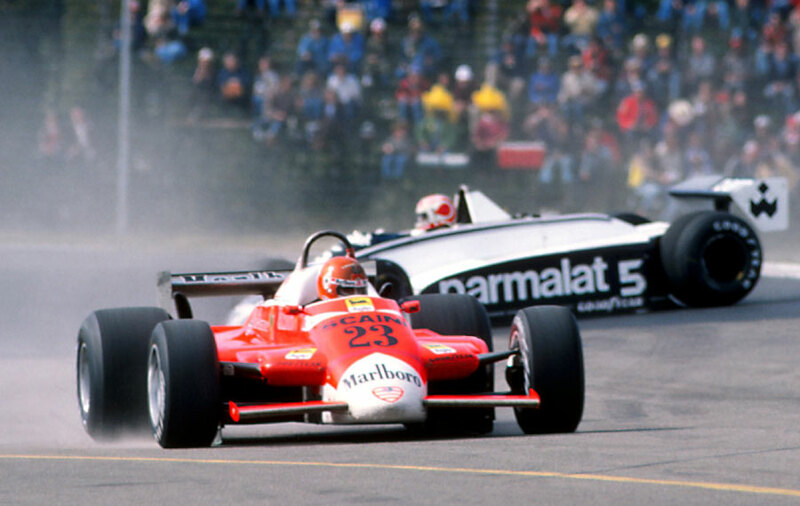 Jones gradually worked his way through the field and settled in behind the impressive Bruno Giacomelli in an Alfa Romeo. When an electrical fault forced Giacomelli out on the 31st of 59 laps, Jones eased clear of the field. Pironi, who started back in seventh, marked his final drive for Ligier before switching to Ferrari with a podium finish, while Elio de Angelis brought home his Lotus in fourth, and Mario Andretti, champion only two years earlier, finally scored his first point when his Lotus took sixth spot. Two former champions made very low-key farewells. Emerson Fittipaldi, whose titles in 1972 and 1974 were followed by loyalty to underperforming teams, retired his eponymous car early on, while 1979 champion Jody Scheckter finished three laps down in a Ferrari which had been an unmitigated disaster all season. It was his final grand prix. There was also no fighting finish from Nelson Piquet, who had run Jones close until the penultimate race. His Brabham clipped barriers and spun off on the 26th lap.